Let’s get straight to the point. There are two types of mixed breeds – The Mongrels and the Hybrid. While the mongrels come about by accident as a result of promiscuity on the part of your pet, the Hybrids, or Designer Dogs as they are called, are carefully cross-bred by professional breeders in the effort to create a better, more evolved dog. Like with all Hybrids, the intention behind cross-breeding is to reduce the genetic defects and other problems that result in mating two purebreds. The most obvious one, of course is in-breeding, which is the leading cause of health and other genetic disorders and mutations within purebred bulldogs dogs. Bully mixes will usually have softer characteristics and will be leaner breeds, especially when crossed with larger, slimmer purebreds. 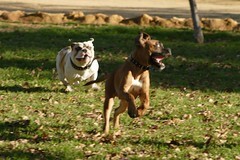 They, like the purebred bulldogs come in a variety of colors, shapes and sizes, not to forget weight. The biggest give-away that pup is not a purebred bulldog are the skull and the eyes. Why Mixed Breeds? What Sets Them Apart? Bulldogs are known to have a wide variety of medium to severe genetic and birth defects. These Hybrid Bulldogs or “Designer Bulldogs as they are referred to, are gaining in popularity as the days go by because, unlike their purebred counterparts, they are not in-bred and thus have a lower chance of carrying a genetic disease. This of course does not mean that they will be defect-free. After all, you are cross-breeding two purebreds (who probably already have some or the other genetic defects! ), but the chances are definitely lower because of the mixed gene pool. 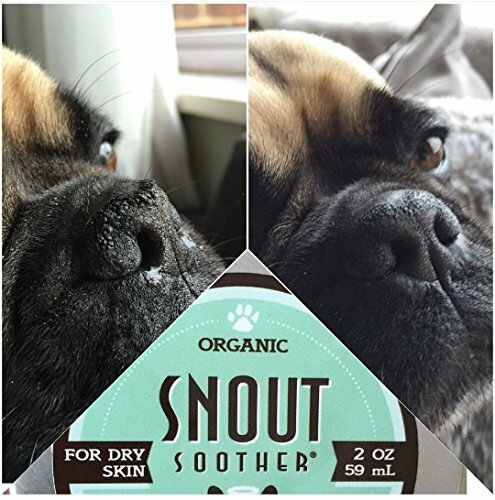 Using this process, skilled professional breeders have been able to show increased health, happiness, well-being and an overall increase in the general pep of the dog. They refer to this as the “Hybrid Vigor’ caused by the “Heterosis Effect”. Some of the most common Bulldog Mixes are the Bullypit (American Bulldog x American Pit Bull Terrier) for its nature and the high-eared French Bulloxer (French Bulldog X Boxer) for its unique appearance as well as the wonderfully spotted Bullmation (Bulldog X Dalmatian). Apart from cross- breeding the purebreds in an effort towards gaining or removing certain characteristics, another popular motivation is the hypoallergenic or ‘Non-shedding’ dog. Certain lineages may be bred, crossbred and back-bred, just to ensure a certain look, temperament or aspect. Unfortunately, when dogs of a litter are unwanted after this process, the results can be heartbreaking. Sometimes, just breeding two purebreds once is not enough to get the desired results. A lot of the times, there are other traits that professional breeders would look at changing apart from the genetic defects and health problems. This is, as obvious, done for the purpose of either a better looking dog or a dog that requires lesser maintenance than a purebred bulldog. Some of these reasons are to eliminate shedding, aggression, size etc. 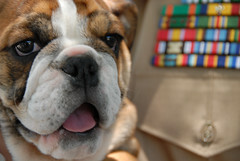 Hence, in order to achieve the desired result, these pooches are bred over multiple generations of crosses (that is how the current Bulldog came about – through several hundred generations of cross-breeding). To illustrate with an example: Let’s us take the example of a Goldendoodle, which is a cross between the popular Golden Retriever and the fancy Poodle. Now, in order to reduce the coat-shedding characteristics, yet keep the lushness of the breeds’ coat, these are crossed. These will need to be bred through a couple of generations to reduce the shedding and can be adopted by people with allergies. However, too much cross-breeding will take the breeder back to stage one, where the dog will shed a lot. So it is important to know where to stop in order to get the optimal effects from the cross-breeding. Looking at the table below, the F1B hybrid will be the optimal mix, for reduced shedding. While the thought is novel, the results may not always follow the same route. The biggest problem with mixed breeding is the chaos that ensues in the genetic pool at the time of the mating. 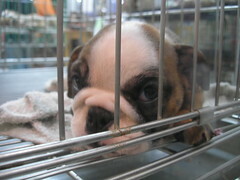 No breeder can guarantee what the new breed will look like, and what their temperament will be like. And this is true even of two puppies from the same litter. The breeder simply has no control over the result of the mating. It is a genetic gamble. The issue is that you are going to mate two purebreds of different bloodlines. After that it’s only a game of permutations and combinations. 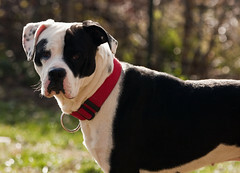 For example, you mate an American Bulldog with an American Pit Bull Terrier to create the popular Bullypit. Every puppy in that litter will be different in looks, shape, size and temperament, with some similarities of course. And this will be true no matter how many times you mate the dogs. So be careful when picking up a mixed breed puppy just for his looks. He might not have the temperament you’ve been dreaming of! One of the most obvious things you would need to do is find out the details of the parentage. Do a thorough investigation about the parents. Go through the bloodlines of both sets of parents before making a choice. Also, if you can, observe the parents. Inquire about their temperaments. Then it all comes down to narrowing down the possible combinations you might get. Consider the worst case scenario (we all know Murphy’s Law, so don’t even think about hoping for the best!) and compare the possible characteristics with your family’s personality and lifestyle to ensure that they will fit in. If your family is able to adjust with both the parent breeds easily, then you can safely assume that more often than not, the new hybrid will fit in nicely into your home. A bully mix pup will require the same care as its parents. It is important that you are aware of its lineage in order to care for your new family member properly. Depending on which parent it has taken after, you will have to feed and groom your pet accordingly. You bully mix puppy will usually be hardier than your purebred pooch. They will require less maintenance. 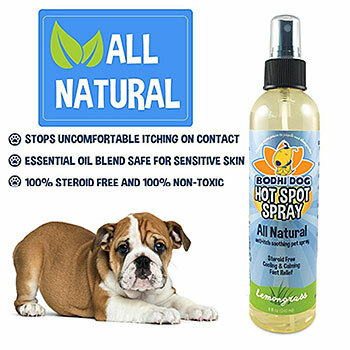 They are less likely to be hypo-allergic and as compared to your purebred bulldog, they will have fewer allergic reactions when they stick their noses where it doesn’t belong! 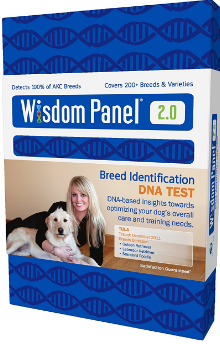 Another important reason for you to know about your pet’s lineage is that it will help you keep a lookout for any possible genetic or inherited health issues that the parent breeds may suffer from. Knowledge about them will help you in identifying and dealing with any health problems early on. 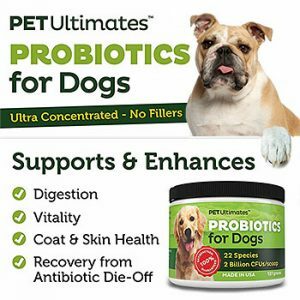 Just like your Purebred pet, your Mixed Breed bulldog will require a good, nutritious diet, proper grooming and regular visits to the vet. 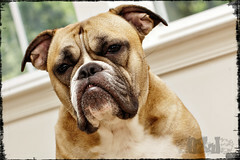 Bulldog Mixes are among the top 35 dogs which are unwanted past a certain age and end up in pounds and shelters. Approximately 70 percent of mixed breeds earn the status of surplus pets by age two. Fewer that 20 percent dogs are adopted from shelter in the US alone. Of all the dogs that are left at pounds and shelters nationally, approximately 30% of them are purebred. This figure does not include unwanted purebred animals that are released to Purebred Rescue Groups. The hybrids are called by a bunch of unpleasant names such as mongrels, mutts, cross-breeds, half-mixes, mixed-breeds etc. The ugly truth is that most people prefer a good-looking or handsome pet with a peculiar but predictable temperament which cannot be guaranteed with a hybrid. There are misconceptions and prejudices abound about the temperamental mixed breeds. As a result, most of these hybrid pups end up in shelters or pounds. On the other side of the coin, the demand for the purebred increases and most pet shop owners happily run Puppy Mills to keep up with the consumer demand. Do remember that Purebreds are considered Purebreds because they are recognized as a breed. A lot of people adopt a Hybrid pup with good intentions but end up dropping it off at the pound or a shelter at a later date. By then, the poor dog has already grown into an adult, thinks of you as their family and feels abandoned by his human family. Bully mixes, just like their purebred cousins, are extremely attached to their human families and make for loyal, courageous pets. Do not adopt a dog without gathering enough information about what it takes to keep a pet, what type of pet would fit in best with your family, whether your family is inclined towards accepting one, what are the costs and efforts involved and lastly, whether you are ready to put in the kind of commitment required to love and cherish a loyal companion. 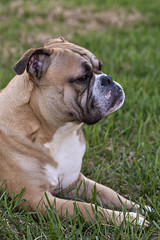 Yes, the Alapaha Bulldog is also known as the Catahoula Bulldog or even the Otto Bulldog and is a rare American dog breed developed in the American South. 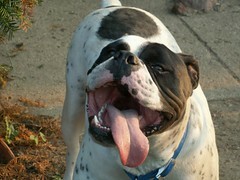 The Alapaha Blue Blood Bulldog was developed by using various bulldog breeds among with the American Bulldog. The Alapaha is smaller than an American Bulldog, they say that the The Alapaha Blue Blood is sharper and more consistent Bulldog breed. Alapahas are alert, outgoing and self-assured. They tend to be alert and not stranger friendly and don’t welcome unknown dogs. In the home of an experienced owner, they are an excellent family dog. Nowadays the Alapaha is bred all over the world strictly following standards set by the Alapaha Blue-Blood Bulldog Association®.